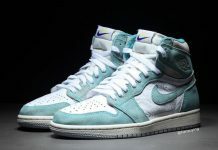 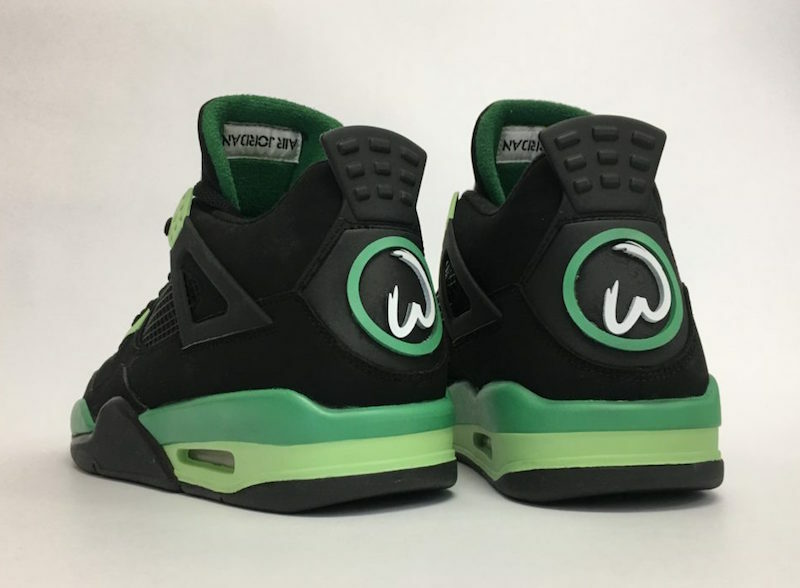 Mark Wahlberg debuts his own Air Jordan 4 "Wahlburgers"
Mark Wahlberg debuts his own Air Jordan 4 “Wahlburgers” during the grand opening of his Wahlburgers restaurant at Mall of America. 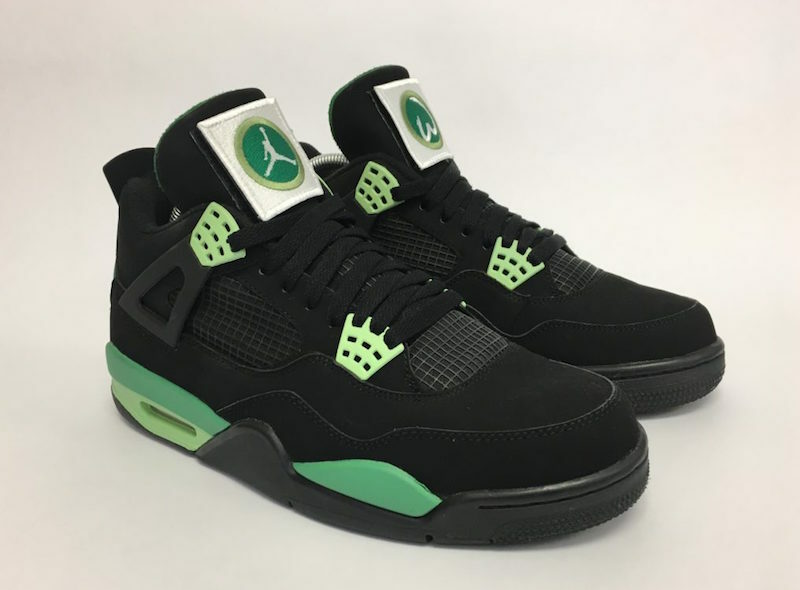 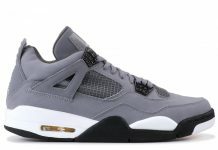 This Air Jordan 4 seems to be designed by Jordan Brand in comparison to the 1-of-1 Custom pair by Mache Customs that were made last year. 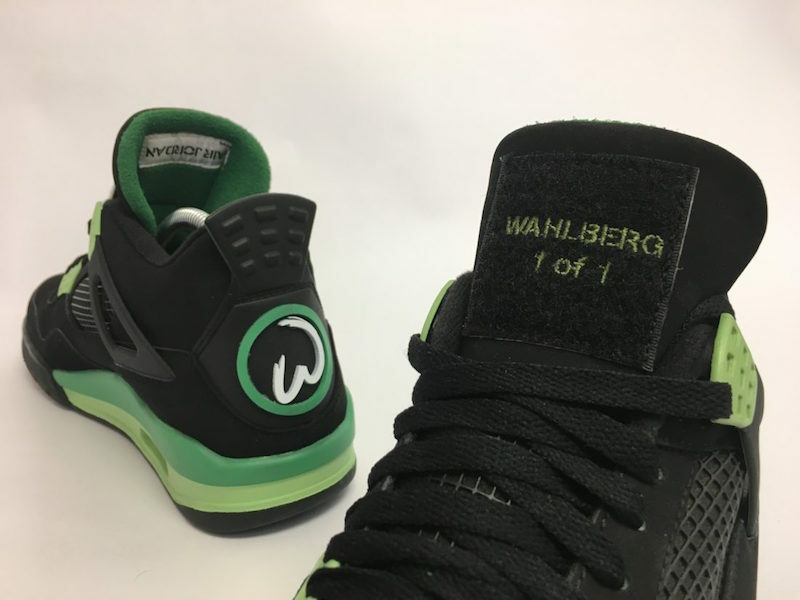 Featuring a Green-based upper with Black detailing, translucent detailing and removable velcro Wahlburgers logos on the tongue. 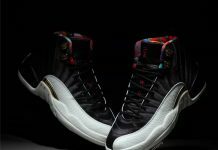 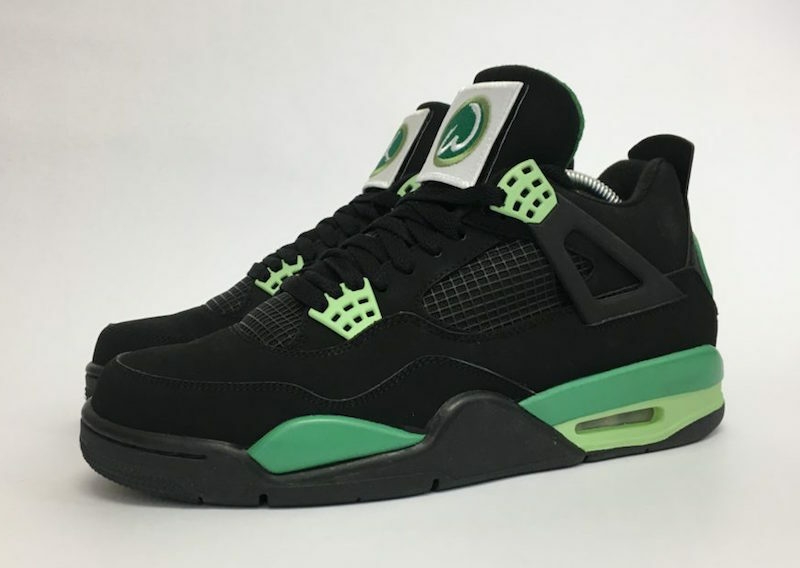 No word if these will ever be released to the public but check out some details below of the Black color option from Mache and the Green one from Jordan Brand.